You will transform her life and the lives of all the children in her school! Transform Lives one school at a time is a life-giving project that meets the critical needs of schoolchildren by harvesting rain, providing sanitation facilities for girls, creating a safe school, and teaching life skills and digital literacy--all for a better tomorrow. Your gift helps empower rural schoolchildren to be active and informed citizens whose voices are essential to the future of India. 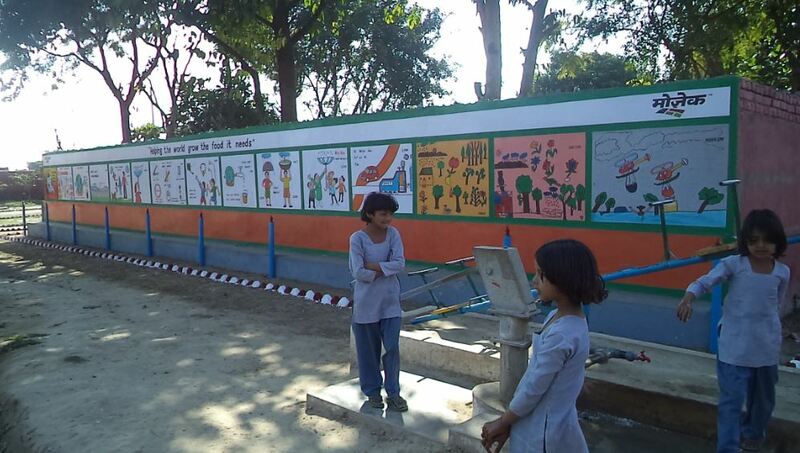 Government upper primary school, village Doli, Rajasthan, was renovated under the Krishi Jyoti (enlightened agriculture) project, supported by Mosaic India Pvt. Ltd. Kimberly Bors, vice president HR, The Mosaic Company and other members handed over the school to the community. Read More . . .
Rights are nothing but claims against the State or government or individual persons. In other words, human rights are those conditions of life that allow us to develop and use our human qualities of intelligence and conscience and to satisfy our spiritual needs. We cannot develop our personality in their absence. They are fundamental to our nature; without them we cannot live as human beings. Jokhu Sah, village Sitakund, described his experience of planting tissue cultured banana, “I learned about the intervention for the first time during one of the meetings organized by Sehgal Foundation. Constant handholding, at the initial stages, helped us resolve challenges that cropped up. Usually, I cultivate peas and cauliflower on my field, however, alternating it with banana helped procure extra income that I will be using to expand the area under banana cultivation. 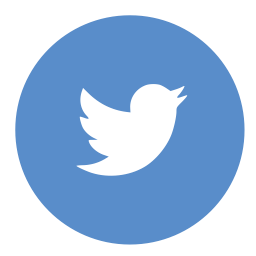 This is not all—the success has inspired others to reap benefits too; the initial doubt has changed to a curiosity and openness to try something new.” Read More . 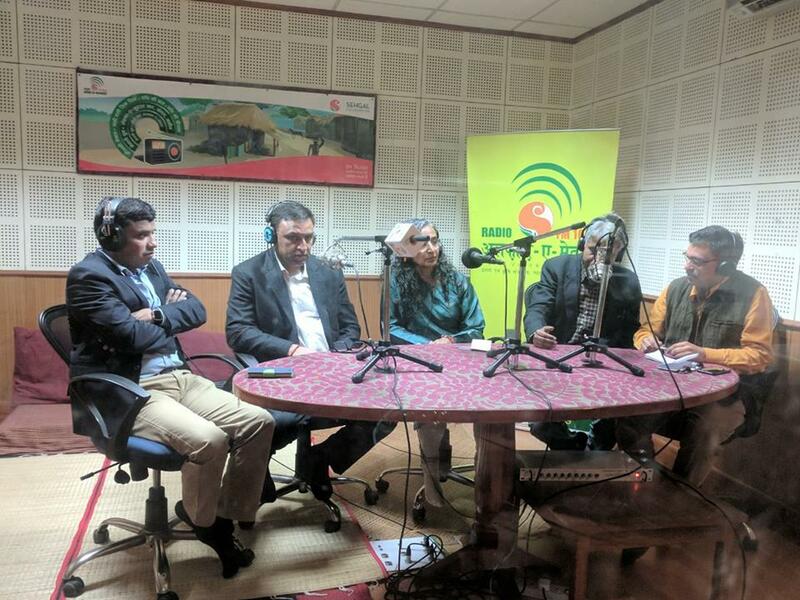 . .
As Nelson Mandela said, "To deny people their human rights is to challenge their very humanity.” Citizens in district Nuh observed Human Rights Day, December 10, with Sehgal Foundation’s community radio Alfaz-e-Mewat to give a platform to rural villagers to voice their aspirations and concerns. A financial literacy camp was organized at Industrial Training Institute, Nagina, under the radio program series Vittey Vaani (talk on finances), supported by Canara HSBC OBC Life Insurance. Experts from banking sector shared information related to opening bank accounts, securing micro loans, education loans, and others. Sehgal Foundation exhibited at Rural Technologies and Handicrafts Fair held at the National Institute of Rural Development & Panchayati Raj (NIRDPR) from Nov 30–Dec 4, 2017. 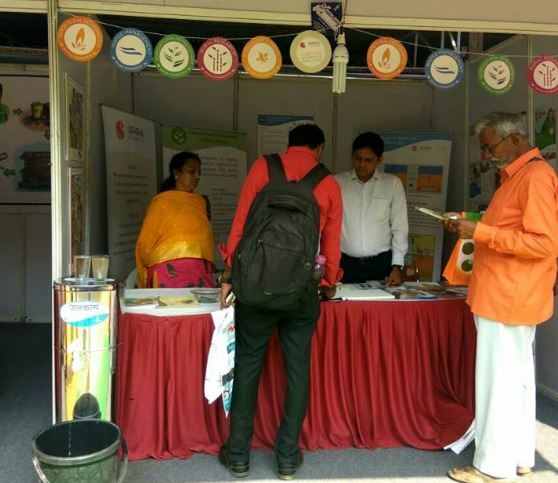 The display, which included development interventions and models for implementation in rural villages of South India, won second prize among the 200 exhibits. 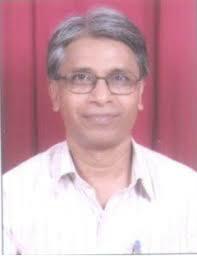 Over 700 people, including the Director General, NIRDPR, Dr W D Reddy, visited the stall. 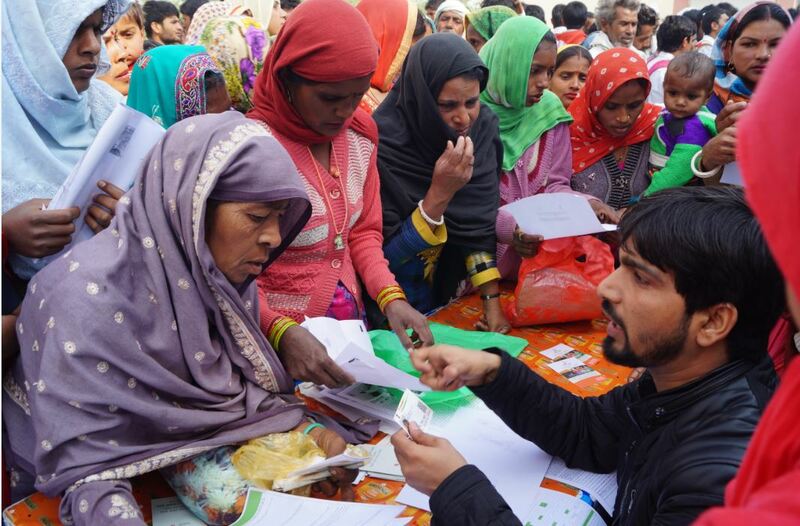 Over 2,000 citizens were benefited from the legal literacy camps at village Rangala of Tauru block and village Sonkh of Nuh block, district Nuh, organized under the partnership project Gram Uday (village rise), supported by Sapient India. Both District Legal Services Authority (DLSA) and gram panchayat collaborated to make the camp a huge success. 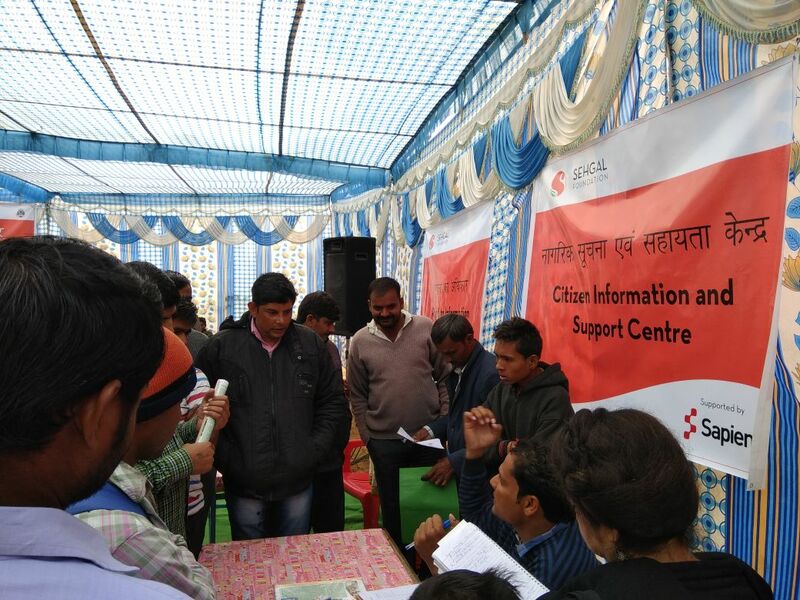 Kiosks set up at the camp served villagers with information and helped in grievance redressal. My own perception of financial literacy was almost a taken-for-granted one, as I always found it to be a quite intuitive and accessible at least as far as basic banking and insurance concepts were concerned. I used the word “was” to specifically point out how my perception completely changed when I was given the opportunity to be a part of the team of Project Samarth—a financial literacy camp in district Nuh, Haryana, as a volunteer for S M Sehgal Foundation. Read More . . .